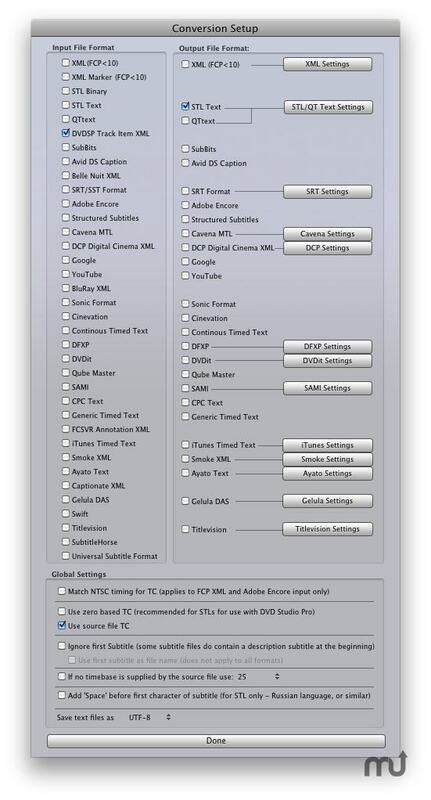 Fast, easy transfer or conversion of subtitles. Is there a better alternative to TitleExchange? Is TitleExchange really the best app in Video category? Will TitleExchange work good on macOS 10.13.4? TitleExchange is a unique tool which makes working with subtitles quick and simple. 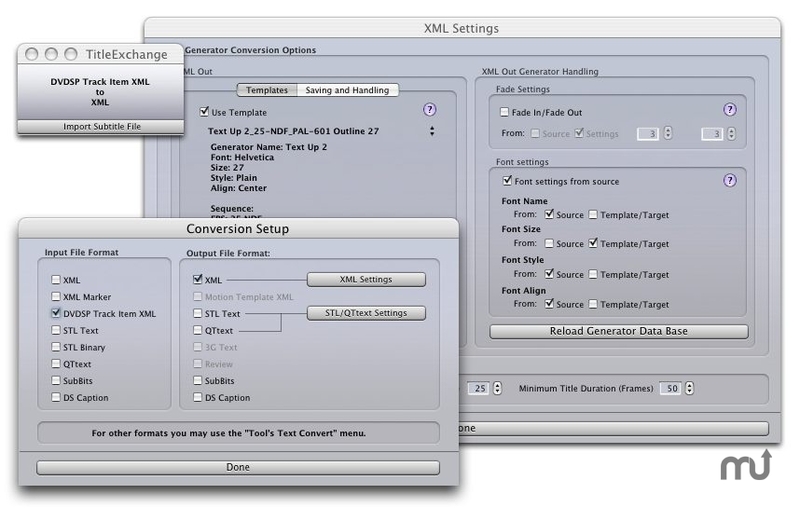 It allows conversion of several text-based and binary formats to and from Avid DS Caption, PremierePro, FCP XML, FCPX XML, and other formats. For example simply export your FCP timeline with the subtitles as XML and open this XML with TitleExchange. Version 1.9.80: Release notes were unavailable when this listing was updated. TitleExchange needs a review. Be the first to review this app and get the discussion started! TitleExchange needs a rating. Be the first to rate this app and get the discussion started! Most of the functions are free. Some of them require a donation to unlock the full access. (Works for 30 days as full version - with a 50 title limitation for some features - then the application will turn into free version, if no serial number is entered). After a year of usage the app will not work any more. Just download the latest version and start over again.